Jaranda Agricultura Norte is owned by Jacaranda Development Limited Mauritius, which is reportedly owned by South Africans. 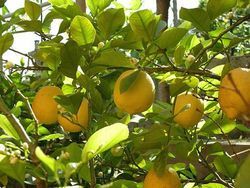 Nampula (Mozambique), 26th January, 2017 (WAM/AIM) — A company in the northern Mozambican province of Nampula is to begin producing lemons for export to Dubai later this year. The company, Jacaranda Agricultura Norte, is already producing bananas commercially, and its citrus operation will begin with ten hectares dedicated to producing lemons.